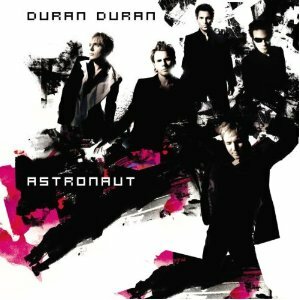 All twenty of Duran Duran's single releases (in chronological order) can be selected and played from the video playlist above. Instructions: Simply select the playlist button to see the full list, choose a video and hit the playlist button again to hide the list. So what was your favourite Duran Duran single? Personally, I find that extremely hard to answer. After a lot of thought, I have chosen "The Reflex", a song I used to sing with my friends on a regular basis during a very memorable final year at school, more particularly the "why yi yi yi yi" part. Looking back, we must have been pretty annoying to everyone around us! 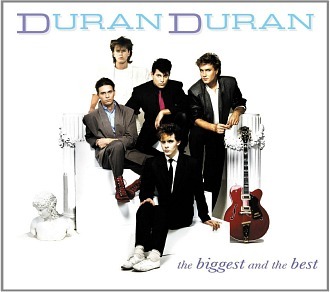 It goes without saying that Duran Duran were one of the most successful bands of the 80's. They released no less than five albums between 1981 and 1988, and enjoyed success with 21 Top 40 hit singles in the UK (8 of these being Top 5) during this period alone. Their first three albums all acheived 3x multi-platinum sales. The band's debut single "Planet Earth" was released in 1981 and was taken from their self-titled album. Many critics thought their career was over when the second single "Careless Memories" only managed to reach No.37 in the UK charts. However, the critics were proved wrong when the third single "Girls On Film" hit No.5. We often here the phrase "the difficult second album", and many pop band's face an almost impossible and unenviable task to come up with something can match or surpass their first album. 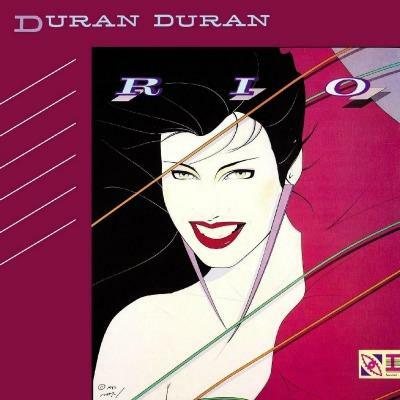 Duran Duran did it with ease, and their second album "Rio" (released in 1982) was extremely successful with four more hit singles being released from it. "Rio" came at a time when MTV was revolutionising the way we listen to new songs. Coupled with the band's lavish videos and polished sound, pop fans were eating out of the palms of their hands. "My Own Way" was released before the album in late 1981, and reached No.14, followed by "Hungry Like the Wolf" (No.5), "Save A Prayer" (No.2) and the title track which reached No.9. The glamour and excess in the video for Rio has to be one of the most memorable moments from the eighties. The third album "Seven and the Ragged Tiger" also went multi-platinum during 1983. 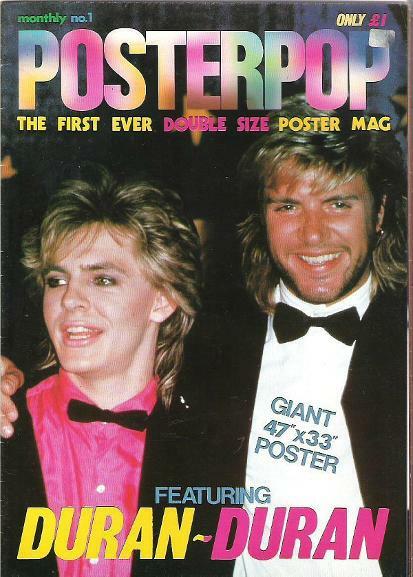 From this, they released three more singles "Union Of The Snake" (No.3), "New Moon On Monday" (No.9) and "The Reflex" which reached No.1 in 1984. Also in '84 Duran Duran released a live album "Arena" and the single "The Wild Boys" which reached No.2. In 1985 they released the theme for the new James Bond movie (starring Timothy Dalton) "A View To A Kill". In 1985, Duran Duran were put on hold as John and Andy Taylor went on to form the supergroup "The Power Station" with Robert Palmer and Tony Thompson. Meanwhile, Simon Le Bon and Nick Rhodes formed "Arcadia" who released just one album "So Red The Rose". The single "Election Day" hit the top ten UK singles charts. 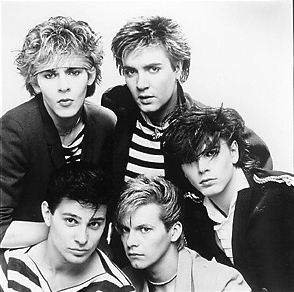 In 1986 Duran Duran reformed without the drummer Roger Taylor, who retired from exhaustion. Andy Taylor was also involved in a legal dispute with the band and went on to start a solo career. However, he reluctantly played on a few of the tracks of the new album "Notorious". Although still moderately successful, Duran Duran never quite reached the same levels of success as they did during the first half of the 80s. 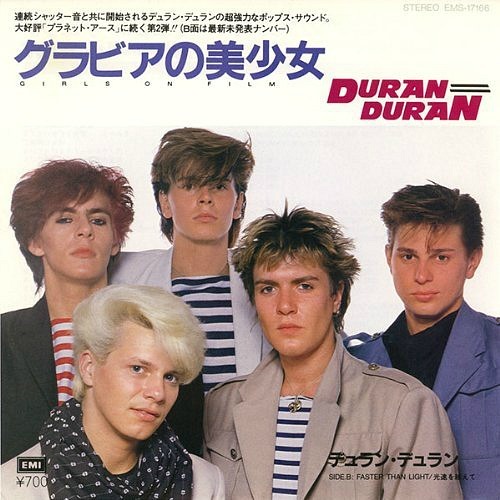 Planet Earth was Duran Duran's debut single that was taken from their self-titled album. It was released on 2 February 1981 and peaked at No.12 on the UK singles chart, but did better in Australia where it reached No.8. Three other singles were also released on the Duran Duran album; Careless Memories, Girls On Film and My Own Way. 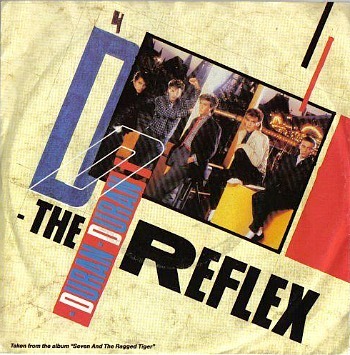 Remembered by many for the stuttering vocal effects and strange, fart-like sound effect, The Reflex reached No.1 in the UK singles chart and was taken from their third 80s album Seven And The Ragged Tiger, which went platinum. The 12th single from the band was released in October 1984 and reached No.2 in both the UK and the U.S. (on the Billboard Hot 100). It managed to top the German singles chart. 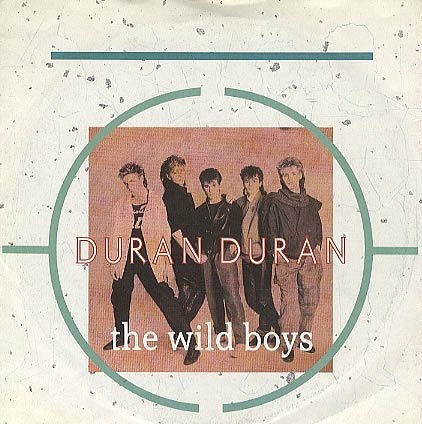 Wild Boys featured on the live album Arena and was the only studio track. The video cost a whopping $1 million to make which was a pretty hefty sum back in the 80's. The B-side featured the track "(I'm Looking For) Cracks in the Pavement" which was recorded live at the Maple Leaf Gardens show in Toronto. The Arena album went Platinum in the UK, reaching No.6 in the album charts. It reached No.4 in the U.S. (2 x Platinum) and No.8 in Australia. 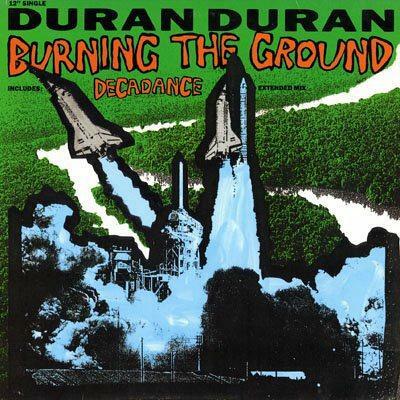 The final single to be released by Duran Duran in the 80s didn't include a new song. Instead, it featured a megamix of songs featuring snippets of hits from the 1980s. Released on December 4th 1989, the single was released to promote the compilation album Decade:Greatest Hits and peaked at #31 in the UK singles chart. This fascinating book by Andrew "Durandy" Golub is receiving rave reviews across the web, and explores the impact Duran Duran has made on audiences around the globe, seen through the eyes of fans' concert memories. 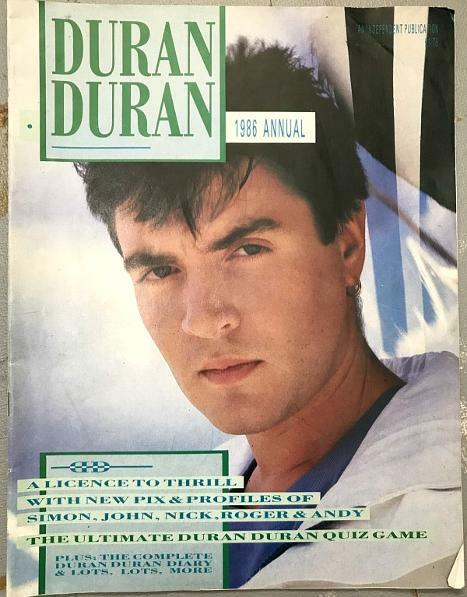 With rare handbills, posters, and adverts as context, four decades of Duran Duran's live experience are quantified in the words of those who attended specific shows. Available to buy at Amazon.com, international shipping rates are very low, so if you're not residing in the United States you CAN still order the book right now! 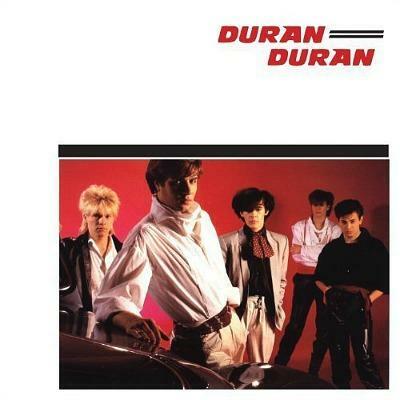 The album sleeve of Duran Duran, the band's self-titled 80s debut album. 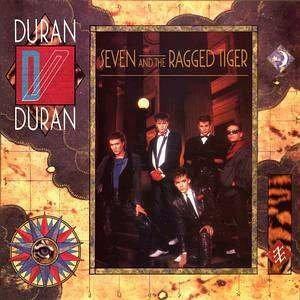 The band's third 80s studio album, Seven and the Ragged Tiger was released in 1983. It featured the hit singles "Union of the Snake", "New Moon on Monday" and "The Reflex". 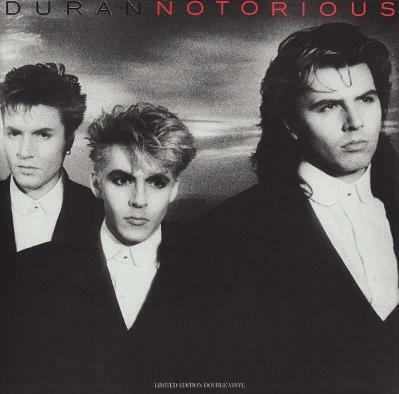 The front cover of Duran Duran's fourth 80s album, Notorious, which was released in 1986. The band's fifth and last studio album release in the 1980s was Big Thing. 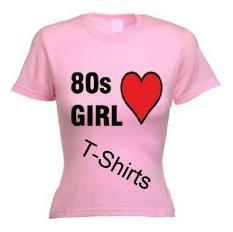 By 1988, rock music was well and truly out of fashion, with house music being very en vogue. 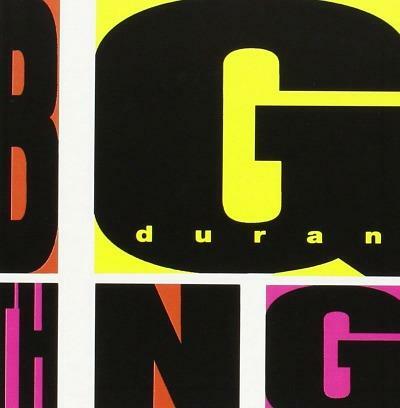 Duran Duran followed this trend with this album, which featured heavy and funky basslines and a dance-orientated sound on some of the tracks, although there were still lush and ambient sounding tracks which harked back to the sound of previous albums such as Do You Believe in Shame? and Land. The Duran Duran VHS video album (March 1983) featured the first 11 video singles by the band and won a Grammy award for the "Best Long Form Music Video". This latest 2xCD compilation album features hits from 1981 to 1990, and also includes some of the band's best album tracks.